Key profiles with controlled duplication. When they are useful? In the last blog we listed certain features which a European profile cylinder should possess in order to ensure a good level of security, that is to say, an effective resistance against external attacks. Unfortunately, as we have already pointed out, even the most resistant product in the world would be overcome if it were easy to obtain an illegal copy of the keys, so that they could be opened without difficulty. Let’s see what is meant by patented controlled duplication profiles. Nowadays, often for reasons of work, study, etc., the transfer of people occurs very frequently and, consequently, so does the trend of renting apartments, or just rooms, for a short periods of time. 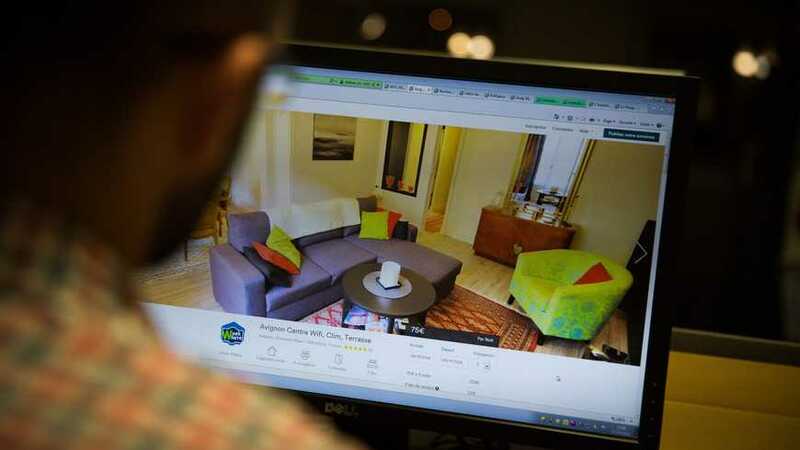 An example of this trend is the success achieved by websites such as Airbnb, which allow you to find and book private apartments or rooms for long or short periods in the desired location, in a convenient and immediate fashion. The idea is innovative and interesting but some doubts about security arise spontaneously. Given the large number of people who are staying, even if only for the short period of time needed to find other arrangements, how can the owner be sure of the fact that no unauthorised copies of the keys are made, only to be re-used? Doubts can legitimately arise even for a potential renter, who, receiving standard keys, which can be duplicated anywhere, might not feel sufficiently protected from the point of view of security. Usually we rely on the good faith of the individuals, but sometimes this might not be enough. 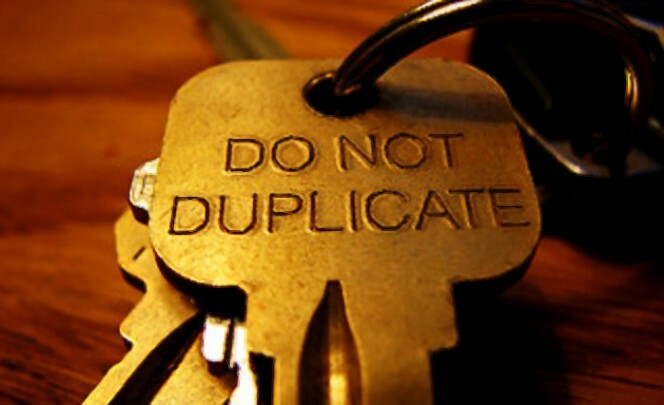 One solution to this type of problem can be to adopt a system of controlled duplication keys. What does this mean? 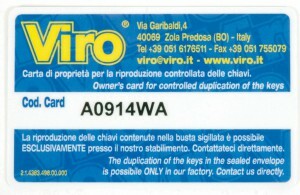 Reproduction of the original key is only possible at Authorised Centres, upon presentation, together with the original key, of a coded ownership card. Example of coded ownership card. The rightful owner, who holds the ownership card, is therefore the only one who can ask for copies of the keys and in this way has control over the number of existing copies, keeping track of copies delivered to tenants and ensuring that they are always returned, as a measure required to ensure integrity and reliability. 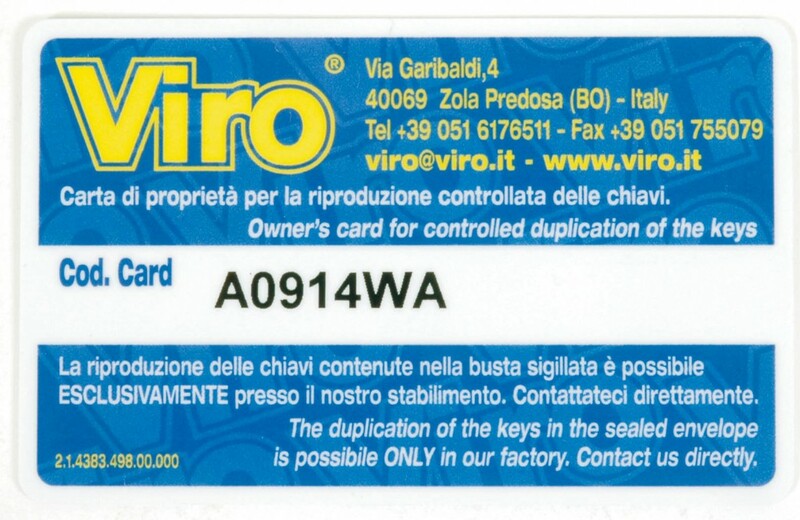 Viro also produces cylinders with keys having a patented controlled duplication profile. To be precise, there are two possible types of controlled duplication: those which can only be duplicated at the Centres Authorized by the manufacturer (in the Viro range they are called .PV profiles) and those which can only be duplicated at the company itself (in the Viro range these are called .PB profiles). In the latter case, the user must still go to the retailer where the product was purchased and the dealer will act as the intermediary between the customer and the manufacturer, sending the duplication request to the company. In this way, the company is confident that the individual requesting the copy is authorised to do so, since the original key and the ownership card have been shown to the dealer from whom the product was purchased. This procedure is obviously slightly longer in terms of time for obtaining the duplicate keys (in the first case, just a few minutes are needed at the Authorised Centre, whilst in the second case a few days would be needed for the retailer to receive the requested copies from the company, in a sealed envelope, contact the user and deliver them), but it makes key management extremely safe, because it would be very unlikely for a burglar to simultaneously get hold of the original key and the ownership card and also run the risk of going into the store where the product was purchased and waiting the necessary time for the duplication in the company. Keeping track of the number of copies of keys (not only house keys, but also those for many other situations) is not only an advantage in terms of security if the owner decides to rent or lend a property for short periods to other people, but may prove essential if employees, domestic help or acquaintances have access to rooms which hold valuables or confidential information, to ensure that the key, even by mistake or carelessness, falls into the wrong hands. This entry was posted in Locks and Cylinders and tagged products, security, technology, tips on 1 March 2016 by calessandrini.